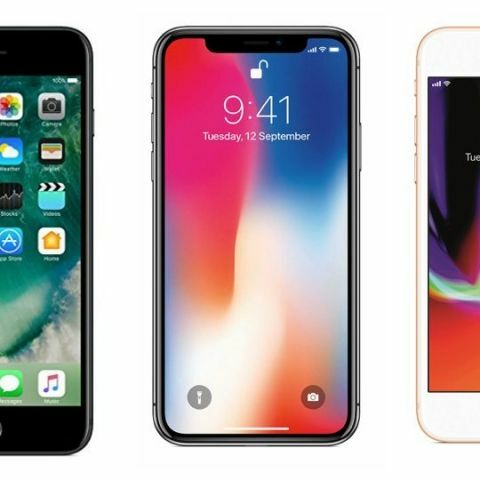 Today, Paytm Mall is offering up to Rs 10,000 cashback on Apple iPhone's. The products we’ve listed down below are Apple smartphones. Are you a big fan of the Apple products? If yes, then this is your best chance to grab your favorite smartphone at the best price. Today, Paytm Mall has some great discounts and cashback offers on a wide range of Apple iPhones. The products we have in the list down below are iPhone X, iPhone 7, iPhone 8 and more. The Apple iPhone X comes with a 5.8-inch OLED multi-touch display with a notch at the top on the front. The smartphone is powered by the A11 Bionic chipset with 64-bit architecture & neural engine. The device runs on IOS 11 and has a Face ID unlock feature as well. The device comes with a 12MP telephoto and wide-angle camera at the back with a 7MP unit on the front. Click here to buy. The Apple iPhone 7 sports a 4.7-inch multi-touch display with IPS technology. The smartphone is backed by A10 chipset, which is paired with a 2GB RAM and 32GB internal memory. The smartphone comes with a 12MP rear camera and a 7MP sensor on the front. Click here to buy. The Apple iPhone 7 Plus sports a 5.5-inch multi-touch display with a resolution of 1920 x 1080 pixels. The smartphone is powered by the Apple A10 fusion chipset, which is paired with a 3GB RAM and 128GB internal memory. As far as the cameras are concerned, it has a dual 12MP sensors at the back with a 7MP on the front. Click here to buy. The Apple iPhone 8 features a 4.7-inch multi-touch display with a resolution of 1920 x 1080 pixels. The smartphone runs on IOS 11 and is backed by Apple’s A11 bionic chipset, which is paired with a 2GB RAM and 64GB internal memory. The device has a 12MP rear camera and a 7MP front camera. Click here to buy. The Apple iPhone 6S sports a 4.7-inch display, which offers a resolution of 1334 x 750 pixels. The smartphone is powered by A9 chipset, which is paired with 2GB RAM and 32GB internal memory. Coming to the cameras, the smartphone has a 12MP rear camera and a 5MP sensor on the front. Click here to buy. how much are these awaited phones costing?